Vincent Kennedy McMahon is credited for bringing pro-wrestling to the mainstream media. Over the course of the past several decades, the owner of WWE has turned wrestling into a global phenomenon, with around a billion fans on social media! This kind of success isn't possible without facing a long string of debacles, controversies, and rivals on the road. 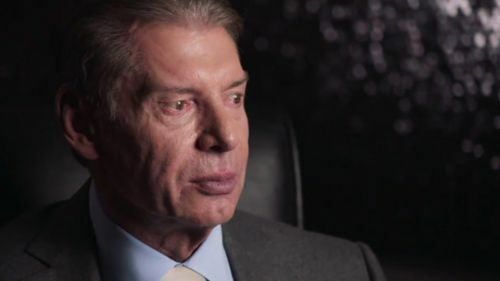 Vince McMahon has managed to endure everything that was thrown at him and become a billionaire in the process. The opposition he faced during his journey did not always come from the outside. There have been multiple instances in the past when his own wrestlers refused to listen to him. Some even went on to give Vince a hard time on various occasions. Let's take a look at 8 wrestlers who were out of Vince McMahon's control. After more than a decade with the WWE, Orton had become one of the biggest hotheads in the industry. He was known for being obnoxious and hard to deal with. Randy Orton's Legend Killer gimmick was of a cocky heel who only cared about himself. This was no different than Orton in real life, who was known for his arrogant behavior outside the ring too. On one occasion, Orton made the news for referring to WWE Diva, Kelly Kelly, as being someone who has no character. This act went unpunished as Orton had become a megastar by that point and Vince didn't want to annoy him even more. Orton was responsible for halting Kofi Kingston's push to the top, back in 2010. The duo had a long drawn out program that stretched throughout the latter part of 2009, with Kofi coming out on top on several occasions. In a #1 contender's match on Raw, Kofi forgot to stay down for Orton to hit him with a punt, which led to Orton snapping and calling him stupid on live TV. Kofi Kingston's push was immediately halted and it took him 10 years to finally come back to the main event scene. Orton was deemed responsible for Kofi's downfall as he had some serious backstage pull at the time.